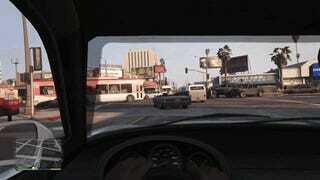 Apparently, when you walk away from the new-gen versions of GTA V, all hell breaks loose. And the stuff that happens at the end with the firefighters is so ironic, you might wonder if it's some sort of weird, scripted punchline. All YouTuber NasWas did was leave his PS4 version of GTA V running while he went to grab some food. When he came back, a pile-up of massive proportions was underway and quickly turned into a bizarre, AI-vs-AI free-for-all. The chaos that happens in this clip—sparked by a bunch of ornery programmed behaviors rubbing up against each other—is the kind of thing that can make you think that these giant open-world games are alive in their own weird ways.